WEST PALM BEACH, Fla. (Reuters) - U.S. President Donald Trump on Friday reversed sanctions imposed on North Korea by the U.S. Treasury Department just a day earlier and the White House said he was doing so because he "likes" North Korean leader Kim Jong Un and did not consider them necessary. 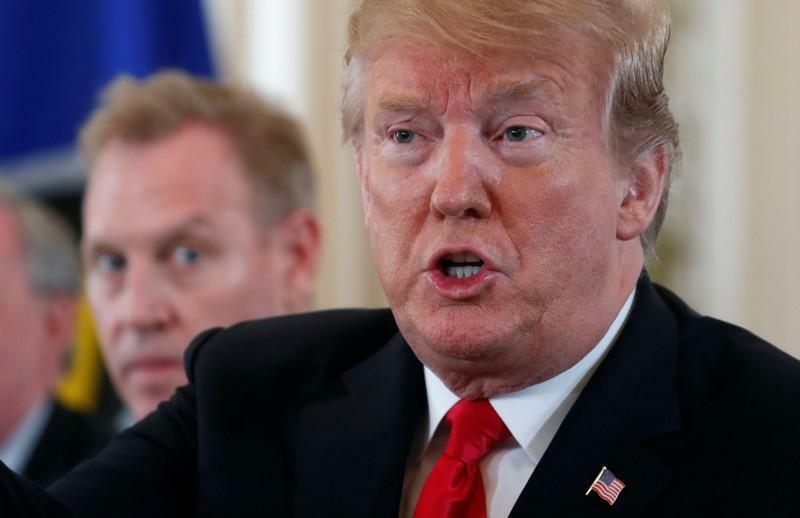 There were no new U.S. sanctions on North Korea announced on Friday and Trump was apparently referring to the U.S. Treasury's blacklisting on Thursday of two Chinese shipping companies that it said helped North Korea evade sanctions over its nuclear weapons programme. Trump has stressed his good personal relationship with Kim and his administration has stressed its willingness to reengage with North Korea. There has been no sign of direct contact between Washington and Pyongyang since the Feb. 27-28 meeting in Hanoi, however, and North Korea has warned it is considering suspending talks and may rethink a freeze on missile and nuclear tests, in place since 2017, unless Washington makes concessions.Hours after Thursday's sanctions announcement, North Korea on Friday pulled out of a liaison office with South Korea, a major setback for Seoul, which has pushed hard for engagement between Washington and Pyongyang. Harry Kazianis of the conservative Centre for the National Interest think tank said Trump's move could be an effort to defuse tensions that seemed to be building between Washington and Pyongyang and the risk of North Korea pulling out of talks. Klingner said Trump's move signalled that his "maximum pressure" sanctions campaign on North Korea was not going to get any stronger and recalled an announcement the president made before a first summit with Kim in June last year when he said he was putting a large list of planned sanctions on hold. Democrats in Congress immediately criticized Trump's move. Lawmakers from both sides of the aisle have called for tougher sanctions on North Korea, a country the United Nations human rights investigator described this month as one of the most closed in the world, that continues to deny basic freedoms, run political prison camps, and subject its citizens to strict surveillance. Bolton said early this month that the United States would look at ramping up sanctions on North Korea if Pyongyang did not scrap its nuclear weapons programme. On Monday, two senior U.S. senators called for the Trump administration to correct what they said was a slowing pace of American sanctions designations on North Korea, saying there had been a marked decline in such actions during the past year of U.S. diplomatic engagement with Pyongyang.